• Manual SEO: Manual SEO strategies involve manually picking the strategies and monitoring them to see if they are achieving the desired results. With the manual SEO approach, you can test different strategies and adjust them for better results. 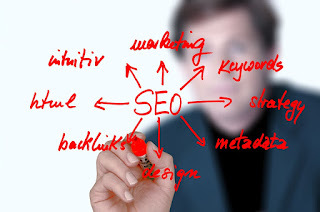 Professionals that have been trained in SEO and keep up with the latest trends can best implement manual SEO strategies. • Automated SEO Software: The second approach is the automated approach which involves the use of SEO software. Automated SEO is much less time consuming and cheaper but much of the software is built to attract users in large quantities. This means that many users who find your website through automated software are not interested in your products or services. Taking the manual SEO approach is time consuming for most companies and can be ineffective if those implementing and monitoring the strategies are not well trained in SEO marketing. The automated approach can be done more easily by companies that do not have the personnel for the manual approach, but this method focuses more on quantity of traffic rather than quality. The most effective approach to good SEO is to use a combination of manual and automated strategies. An SEO agency has experts that can effectively implement elements of both strategies and form a unique plan to achieve your specific goals. • An SEO agency can create a personalized SEO strategy based on your current web presence and performance that can accomplish your goals better than a one-size-fits-all solution. • SEO experts keep up with changes in SEO trends and algorithm updates and will adjust your campaign accordingly. • An SEO agency provides a human touch to keyword research, multi-channel promotion, and other strategies that will help drive more search traffic. • An SEO agency will help you pick the best solutions to improve your ROI and constantly look for ways to improve your campaign. You can learn more about automated and manual SEO strategies as well as the benefits of choosing an SEO agency by reading the full blog, SEO Software vs. SEO Agency. Contact our experts at Proceed Innovative by calling (800) 933-2402 to learn more about how our SEO services can boost your business.